Rebelscum just posted that QMx are selling exclusive gold plated key rings at their SDCC stand for $14.95. I really want one. 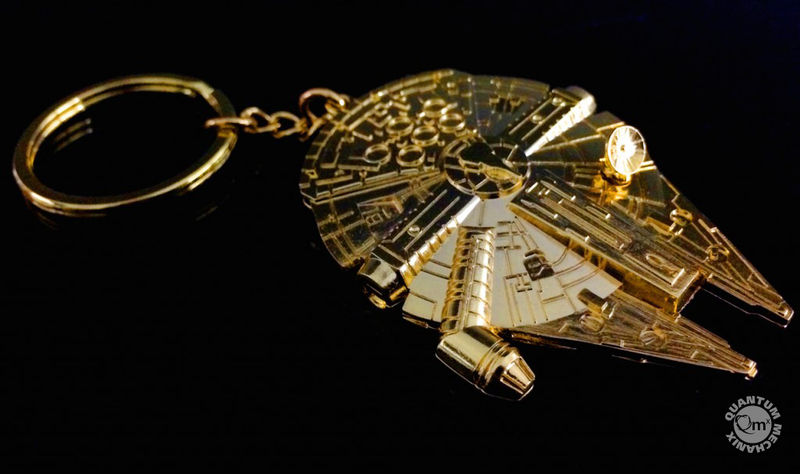 “San Diego Comic-Con is just a couple of weeks away, and the latest Star Wars licensee to reveal their exclusive for the show is Quantum Mechanix (QMx), who have announced that they will be selling a limited edition gold Millennium Falcon metal replica key chain at their booth #3249. This entry was posted in Key Chains and tagged Millenium Falcon, Millennium Falcon, QMX, Star Wars. Bookmark the permalink.